Nestled in the BLUE RIDGE MOUNTAINS in the heart of BILTMORE VILLAGE, RESIDENCES AT BILTMORE is an upscale condominium community only minutes to DOWNTOWN Asheville, Biltmore Estate, & Mission Hospital. Walk to restaurants, local galleries & shops. 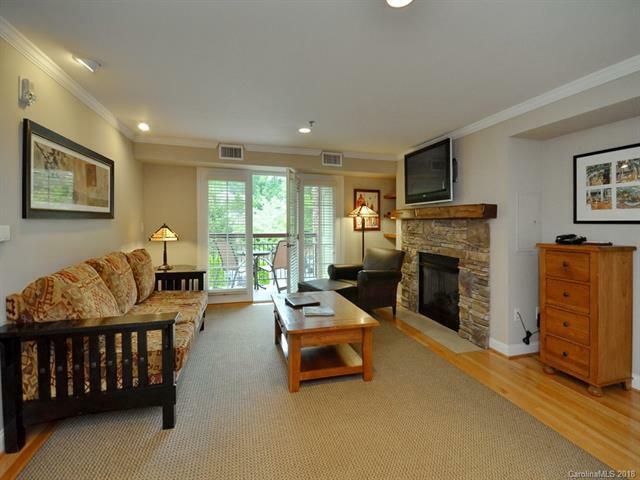 This open floor plan condo offers private balcony, gas fireplace & hardwoods with all furniture, appliances, dishes & linens included. New Event Space & Lobby under construction now. Owners have the option of participating in an onsite short-term rental program which will generate income while you're away. Upper Building, close to pool & fire pit!